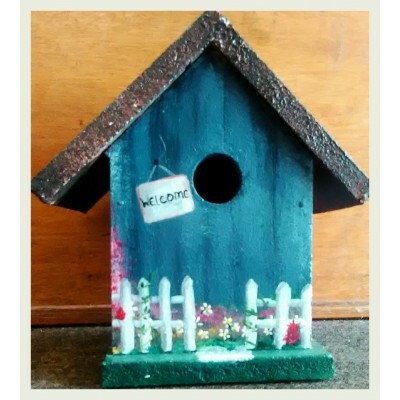 A one of a kind decorative birdhouse! It is made from pressed wood, sealed and painted but would be best indoors or on a covered porch. It is painted to look like a cottage with a picket fence and flowers.